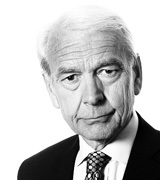 John Humphrys: What’s wrong with causing offence? August 08, 2018, 3:34 p.m.
Boris Johnson has been accused of gratuitously – even deliberately and cynically – causing offence to British Muslims and many other people. In the Daily Telegraph he argued that this country should not follow Denmark’s lead in banning the burqa but he ridiculed Muslim women who wear them. He said they looked like a ‘letter box’ or ‘bank robbers’. He denies his remarks were offensive but Theresa May and many other leading Conservative colleagues say otherwise. They have called for him to apologise and he has refused. But the politics of all this is not the focus of this article. Rather, it’s a deeper question. Is our growing anxiety to avoid offending people preventing us from conducting the sorts of debate a healthy democracy needs? Civilisation depends on courtesy and mutual respect. Only by relying on argument, evidence and reason rather than on violence, lies and abuse to settle issues can a society lay claim to being civilised. That’s what the Enlightenment taught and it’s the way, at least in theory, the West has tried to conduct its politics ever since. One of the shocks brought to this politics by Donald Trump was the degree to which he resorted to sheer personal abuse of his opponents and to offending those who wouldn’t be voting for him in his successful campaign to become president. Now in the White House he continues in much the same vein. So it’s easy to make the case that offensiveness is, well, offensive – and wrong. That is clearly the case if it involves libel, or telling lies, or is incendiary or is simply gratuitous, serving no other purpose than to abuse. But equally clearly, people can feel offended when others make remarks that involve none of these things. In short, deciding whether something is inexcusably offensive is not a simple matter. In the first place, who is to decide what is offensive and what is not? Does offense lie solely in the eye of the beholder, so to speak? Put another way, does the person who feels offended have the sole claim on the right to decide whether it is or not? And secondly, even if we can agree an answer to that first question, can we have a proper debate about matters that affect us all without the risk that some will be offended? And if we can’t, should we go ahead anyway? All these questions were much easier to answer in societies less complex than our own. Small communities that cohered around a traditional and usually unquestioned set of norms of behaviour and belief knew what was acceptable and what was not, what might cause offence and what the consequences might be. That is true still of tribal life and it always has been in larger societies governed on authoritarian lines. Even small democracies from ancient Athens onward had binding codes of ethics that defined the borderland between the acceptable and the offensive. But it is all much more difficult in modern, liberal democracies. In the first place, that very word ‘liberal’ implies a valued freedom to challenge inherited norms of behaviour, so eroding the clarity of the border that marks where offensiveness might begin. And even more importantly, contemporary multicultural societies like our own accommodate a whole range of different, often conflicting ethical codes inherited from the groups that make up the mix and that have to jostle along together as best they can. In such societies tolerance and being anxious not to cause offence constitute an understandable priority. We don’t want to tread on corns so we are tempted to walk on tiptoe. In the eyes of some, however, the tiptoeing has gone too far. They feel we have reached the point where we are virtually forbidden from raising issues that we might feel ought to be raised because it is inevitable that in doing so some might take offence. Proper democratic debate, they conclude, is being thwarted by the imperative not to cause offence. The now rather tired phrase to describe this is ‘political correctness’. In itself, of course, it is used as a term of abuse but it does actually stand for something: the notion that there is only one acceptable view of any issue, that it mustn’t be questioned and that to do so is offensive. How much political correctness has actually taken over is a debatable point, but there is certainly evidence that it is alive and kicking in some places. The demand in some universities (and elsewhere), for example, that there should be ‘safe spaces’ is a case in point. ‘Safe spaces’ are places where the accepted, received opinion on any issue must not be contaminated by the expression of opposing views or by arguments that might challenge it. So, for example, some students and their academic tutors have taken exception to historians who suggest that the British Empire might not have been solely a force for bad in the world. In their eyes, that is offensive – even a heresy – and should not be taught. To others, of course, the very notion of ‘safe spaces’, especially in a university, is absurd. In their view universities should be full of ‘unsafe spaces’ (in this intellectual sense), arguing that it is only by challenging received opinions that truth can be pursued. If people are offended by evidence and arguments that disturb their world view, then so be it: they’ll get over it and might actually learn something in the process. This example from academic life can be transferred to the wider democracy. No issue, it’s argued, can ever be settled for good so we must always be open to debate and if debate leads to some people feeling offended, then it’s a price worth paying. Even so, few people would argue that that means all offence is justified. So one obvious question remains: who is to decide what is inexcusably offensive? Again, less complex societies than ours find this question easier to answer simply because a shared view of what is and isn’t offensive is what makes those societies cohere. Precisely because we don’t have such a shared foundational ethic, the question is harder for us to answer. One recent proposal has been that if society as a whole can’t make the decision, then the groups most likely to feel offended should decide what is and is not offensive to them. This solution is an aspect of so-called ‘identity politics’ that in recent years has become much more important in western politics. In simple terms, identity politics sees the primary political struggle not as it used to be in terms of class, or economic power or as defined by conflicting ideologies, but rather as a struggle by groups self-defined by their identity, whether in terms of race, gender, sexual identity and so on. With regard to the question of who should decide what is and isn’t offensive in political debate, identity politics suggests (put crudely) that each group should police its own sphere, defining for the broader society what that group regards as acceptable or not and then requiring the rest of society to abide by its decision for fear, otherwise, of causing offence. So for example, some feminists would argue that only women are entitled to have anything to say about abortion because only women ever have abortions, and for men even to engage in the debate is offensive. Similarly it has been argued that transgender people alone should adjudicate on transgender issues (including the right to decide for themselves whether they are transgender or not) and that it’s offensive for others to get involved. And on this view only Muslims can decide what is inexcusably offensive to Muslims. Defenders of this approach argue that it is not only the best way to minimise offensiveness and therefore strife within society at large but is also justified because such groups know better than anyone else what might be offensive to them. The objection to it, however, is obvious. It’s that there are very few issues confronting our society that affect only the groups concerned. There remains the wider context of society as a whole and all the people in that society ought to be able to have their say on issues such as abortion, transgenderism or the wearing of a burqa in public places. We should not allow such wide debates to be thwarted, it’s argued, by granting to minorities the sole right to decide what is and isn’t offensive to them. Better to allow the offence than not have the debate. So where does all this take us? Have we reached the stage where proper democratic debate is being sacrificed to a reluctance to cause offence, or are we still managing to have the sorts of political arguments we need? Are the risks of causing offence inevitable when they are conducted within a society as diverse as ours? Do you personally feel that it is becoming increasingly difficult to express your views for fear you might cause offence, or not? And where should we be heading: should we be prioritising a society in which no-one is ever offended over one in which we practise open debate… or the other way round?